Founded in 1995 and under the leadership of Dr. Liz Ruelle since 2009, we are a full service veterinary facility dedicated to the health and well being of Calgary’s cat population. Our team has grown to include two doctors, three animal health technologists, one receptionist, two veterinary assistants, and a clinic cat named Boots. 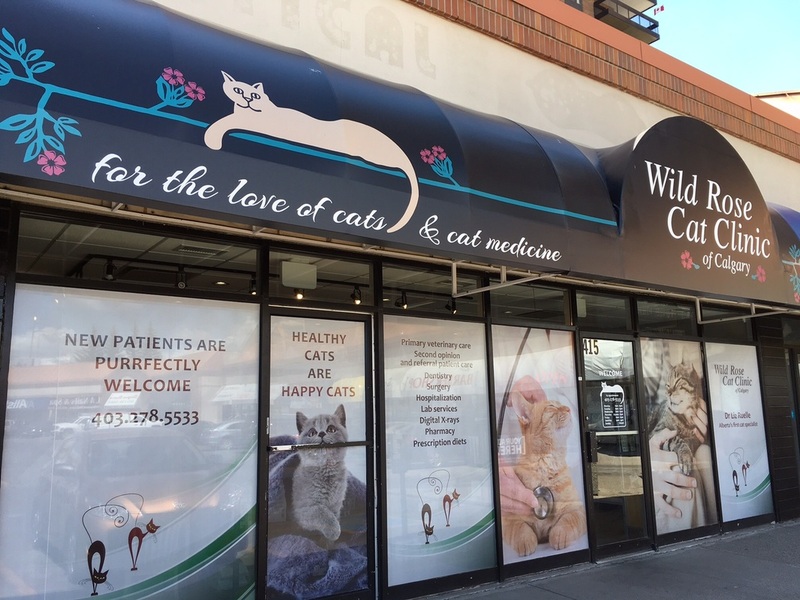 Wild Rose Cat Clinic is an accredited veterinary facility under the guidelines of the Alberta Veterinary Medical Association. This licensing body conducts regular on-site inspection of our facility and our protocols by ensuring we meet specific standards in equipment, record keeping, safe drug storage, continuing education, and safety protocols. These standards help to protect you and your cats. In November 2015, we moved across Macleod Trail to a beautiful new location in Southland Crossing, complete with an in-house laboratory so we can run blood in clinic. We are very happy with our new clinic! Wild Rose Cat Clinic is also a certified Cat Friendly Practice (Gold Level) by the American Associated of Feline Practictioners!